Group Family General Info: Introduced originally in the mid 1980's, the Shimano 105 groupset is an intro level road racing groupset to fill the gap between the more expensive Shimano 600 group and the sport & recreation parts. General Info:in 1990 Shimano 105 was renamed to 105SC group. When the group received a makeover moving away from the polished aluminum finish to a painted silver finish. It would retain 7 Speed as it was introduced a year before with the 1051 group. 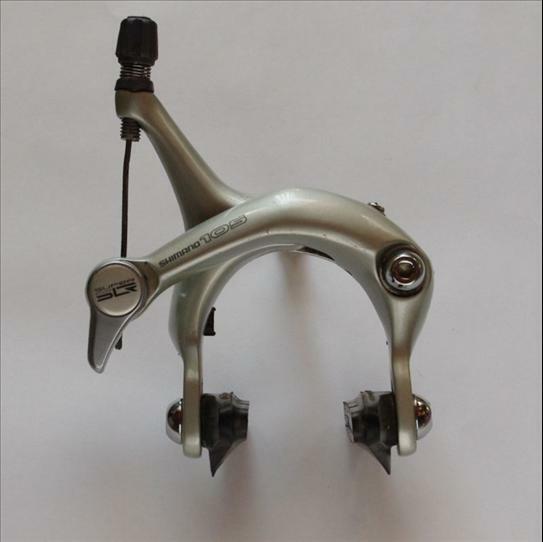 Dual pivot brakes were also introduced at the time. Before its demise in 1998 105SC would receive 8 Speed cassettes and STI shifters.